Source: Having years of experience in the fields of green tech, alternative fuel technology, and technical service processes, Extreme Energy Solutions establishes new Company division in furthering its next up and coming automotive innovation. It’s rare a company is able to recoup its losses associated with research and development of new products or services. According to the article, “Brand Flops,” published by Forbes Magazine, March, 31, 2010, well over 95% of new products introduced to the market fail according to research conducted by AcuPoll. Putting into perspective that statistic, only 5% of all cost, financial and labor hours, associated with research and development are ever recouped in the through the commercialization of a product or service. However it seems the green tech company, Extreme Energy Solutions, seems to have unique formula for beating the statistics. Since 2010, the Company has commercialized the majority of the products it has launched under its stewardship, having five active product/service lines of the seven it had introduced to the market. Among the top performers are the product-service lines of Smart Emissions Reducer, Extreme Kleaner, and Extreme Xtra Fuel Treatments. Extreme Energy Solutions has also begun to distribute H2O Energy Flow (bottled water from Wisconsin), and continues to offer finance options of its technology via Fleet Worx Leasing. Eager to capitalize on all the knowledge it acquired from its early days as a third party research and development consulting company; Extreme Energy Solutions was able to find a use for all of the data and research related to alternative fuel delivery systems and technologies for the transportation and auto industry. Extreme Energy Solutions recently established E-Tech Performance, an entity founded with the intent to develop solutions for bridging the gap between hardware and software dedicated for use in the automotive industry. The company has three products under development of E-Tech, including E-Missions Automotive Intelligence, a software product concept with the intent to solve the challenge of allowing new emissions equipment to operate in cinque with the current automotive vehicle products offered by car manufactures today. “When we were a third party research entity, we discovered there was a need for a solution that would help hardware technology to be more adaptable to the current automotive platforms offered from vehicle manufacturers. Establishing E-Tech Performance will allow for us to continue our research in this area of expertise, in developing our three phases of our future product line associated with emissions reduction, fuel efficiency, and engine performance, in a software platform that might be able to someday be offered to engine and vehicle manufactures. E-Tech Performance LLC is a division of Extreme Energy Solutions, Inc., whereas the parent (Extreme) owns the majority of the start-up entity. The entity is still in its very early phases having less than 9 months in existence. E-Tech will still need additional funding dedicated to their assigned projects, staffing, and management. At this time, it is sharing services with Extreme to save cost. E-Tech Performance will also offer consulting services to other inventors and developers in the same space. E-Tech’s key asset is its former research and data from Extreme’s early days as consultants to a company that dabbled in HHO technology, as well as its relationships and access to testing laboratories. E-Tech Performance’s overall goal is to develop a new engine management system aimed at helping the auto industry meet demands of emissions reduction initiatives while increasing fuel efficiency and performance of vehicles. E-Tech and its parent, Extreme, visions the platform as an option for engine and vehicle manufacturers to utilize in creating conditions where the software helps more of the “rubber to meet the road,” and for vehicles that utilize internal combustion engines to be more environmentally friendly. Visit www.ExtremeEnergySolutions.net for more information. Extreme Energy Solutions Inc., an Ogdensburg company, in partnership with SMART Air Fuel Saver LLC, will be installing its SMART Emissions Reducer device on a series of vehicles for the County of Winnebago, Illinois. 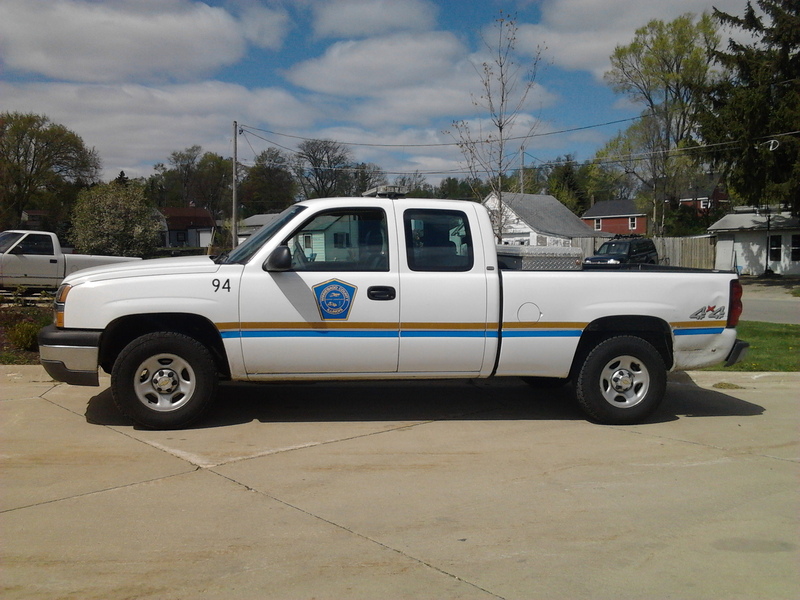 Officials hope the retrofit to diesel and gasoline powered fleet vehicles from the Winnebago County Highway Department, and the Winnebago County Sheriffs Department, attain yet lower emissions output and significant increase in fuel economy. In effect, Winnebago County will be able to lower its fuel budget. Beginning April 10, 2012, the County will test the SMART device out over a 90-day free trial period. “At this time, there is no cost to the tax payer,” said Larry Robertson, CEO of SMART Air Fuel Saver LLC of Illinois, “and should the vehicles meet the expected lower emissions and fuel savings numbers, the devices could pay for themselves within a year” At the conclusion of the testing, emissions and fuel economy data will be reviewed. 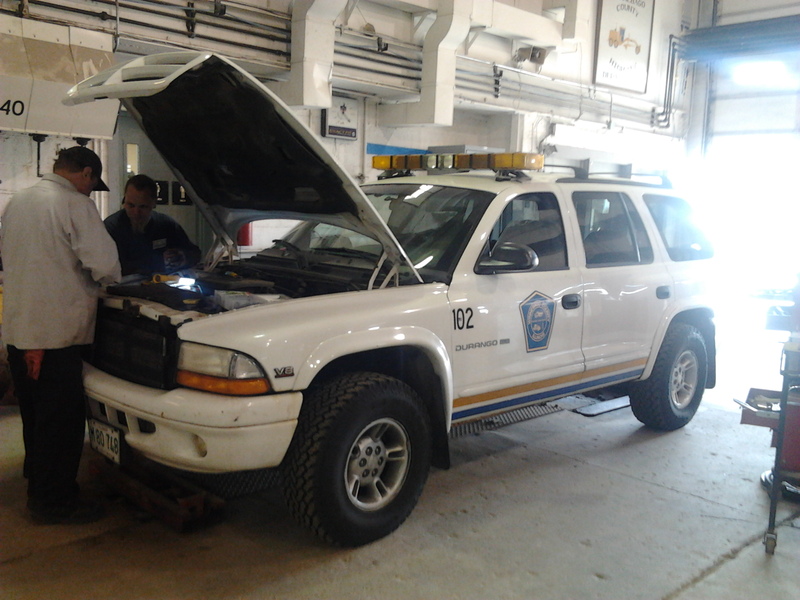 Upon completion of the review, the county will have an option to explore retrofitting their remaining fleet vehicles. “In Illinois, our endeavor is to provide significant savings for all of our customers’ fuel budgets while also reducing toxic emissions, which adds extended life to the engine,” added Robertson. By design, the SMART Emissions Reducer lowers harmful emissions(CO2, NOx, Hydrocarbons, and more) when applied to the production side of the engine. Due to its form and functionality, the lowered emissions provide the additional increase in fuel efficiency and improves engine performance. “We are eagerly looking forward to the anticipated results of the SMART device,” commented Dan Davis, Operations Manager for Winnebago County Highway Department, “Published results from around the country indicate years of very positive economic, as well as environmental impact. The expected results for us are very important in light of tighter budgets and the desire to be more ‘green’ in our operations. Similar results here in Winnebago County would be very positive for both us and for our testing partners,” added Davis. While Winnebago County is the first municipality agency to test the SMART device in Illinois, and a well-known fuel supplier will be the first private fleet in Illinois to take part in the 90-day trial program. Successful Programs in other regions of the country include with the municipalities of Andover Township, NJ; Boone County School District, West Virginia, and City of West Palm Beach, Florida. The SMART Emissions Reducer is the only engine modification permissible by the New York City Taxi and Limo Commission. Upon assessment of the SMART Emissions Reducer’s specifications and performance, the Commission actually waived the formal pilot proposal submission rules, and gave the green light to sell and install the device and allowed for all vehicles under their jurisdiction to be retrofitted with the device. Extreme Energy Solutions Inc. and SMART Air Fuel Saver LLC recently announced its partnership agreement with Fleet Worx Leasing LLC, to be the exclusive provider for financing options when offering leasing of the SMART Emissions Reducer, and other Extreme Energy Solutions/SMART Air Fuel saver product lines to commercial, government, and industrial clients. Clients can lease the SMART Emissions Reducer based on their efficiency (fuel economy) savings that the SMART device provides. 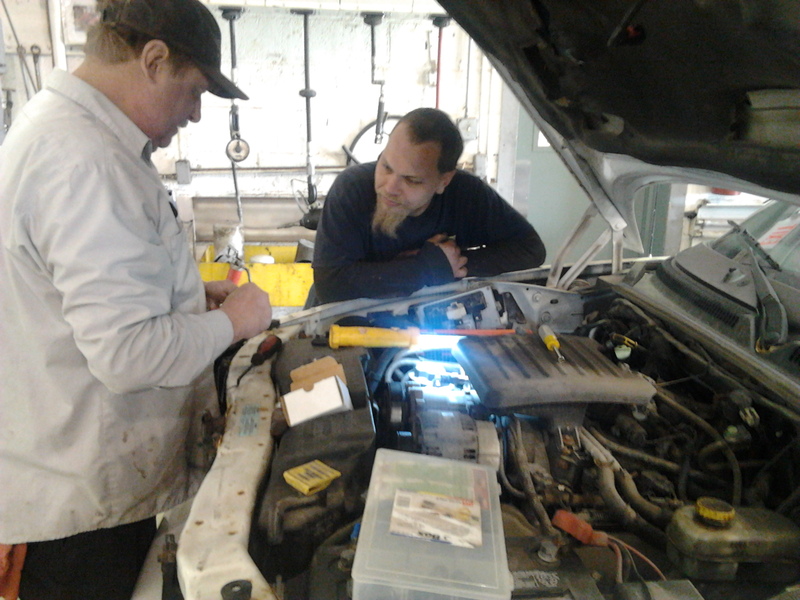 Including in the lease of the SMART Emissions Reducer device, is also the service of installation. The program was designed to assist entities that wish to purchase large volume of product. The SMART Emissions Reducer has an average return on investment between 6 months and a year depending on the product model, year make model of the vehicle retrofitted, and the fleet usage of the vehicle. Since the SMART Emissions Reducer has a life span of seven years, whether the product is purchased or leased, it provides a significant return on investment who purchase the device. Fleet Worx Leasing LLC is a joint effort between Extreme Energy Solutions Inc., and SMART Air Fuel Saver LLC, bringing financing options to the table of potential clients who wish to purchase the product but don’t have enough cash to do so. Also this allows for large fleets to retrofit their fleet completely without delaying any benefits of the device they would not experience because they are watching their budgets.